He was born in Yangon. He is third son of U Thet Nyunt and Daw Hla Kyi. His parent are mon-chinese race from Mudon in Mon State. He has three brothers and sister. They are Daw Kyi Kyi Nyunt, Daw Ye Ye Nyunt, Daw Thadar Nyunt. He attended No.4 Basic Education Middle School, Thingyangyun Township, Yangon. At August 28 1988 he was the chairman of All Burma Federation of Student Unions (ABFSU). He live in No(151/Ka), Waizayantar Road, (16/2) Ward, Thingangyun Township, Yangon. Min Ko Naing’s interest in politics began at the Rangoon Arts and Science University in the mid-1980s where he studied Zoology. During his student years, he was an active member of the arts club, where he enjoyed reading, writing poems and drawing cartoons, especially satirical ones. According to people who knew him, Min Ko Naing was a member of a performance troupe which took part in the traditional Than Gyat competition during the annual Water Festival Thingyan in April, called “Goat-Mouth and Spirit-Eye” and performed satirical plays and sketches satirizing Myanmar’s government and the lack of freedom and democracy. Student unions at that time, as now, were illegal in Burma; however he and other students formed secret study groups in anticipation of protests against the worsening economic conditions in Myanmar. 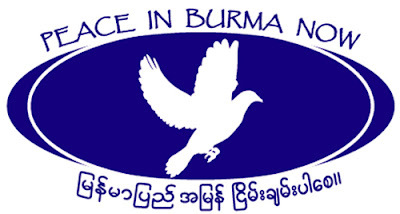 As the first signs of serious public unrest in Burma began to appear in 1985, the year Ne Win’s Burma Socialist Programme Party demonetized the 100-kyat note, Min Ko Naing and his close colleagues secretly established an underground student union in anticipation of a political uprising. Min Ko Naing formed and organized the All Burma Federation of Student Unions (ABFSU), a nationwide student union to oppose decades of illegitimate military rule. The student union has largely contributed to the 8888 Uprising, during which millions of people marched on the streets, protesting against the dictatorship ruling the country and calling for democracy. Unfortunately, the military regime, now known as the State Peace and Development Council, responded to the uprising with brutal force, gunning down up to 10,000 persons. Min Ko Naing has been forced to go “underground”, continuing his organizing work while being forced to hide and to move from house to house every night, in order to avoid arrest. After several months,however, he has been captured along with other students and sentenced to 20 years’ imprisonment, under Section 5(j) of the 1950 Emergency Provisions Act, vaguely-worded legislation which is frequently used to imprison political prisoners, for instigating, according to the military regime, “disturbances to the detriment of law and order, peace and tranquility”. His sentence was commuted to 10 years under a general amnesty in January 1993.He has been considered a prisoner of conscience by Amnesty International, which intensively campaigned for his release. According to Amnesty International, Min Ko Naing has been severely tortured and ill-treated during the early stages of his detention and his health suffered as a consequence. During his interrogation he was reportedly forced to stand in water for two weeks until he collapsed, and as a result, his left foot became totally numb. In 19 November 2004, he was released from prison, after being imprisoned for 15 years.